Interspaces, private, public and political intermediate spaces, are significant to our present conditions. We circulate within a global embrace of spaces, cultures, networks, disciplines, theories and ideologies, in perpetual movement. Borders are constantly fading away and intermediate spaces emerge, shift and close up. It is a political feeling of being in-between something that arises because of these systems, a malaise generated by the shifting of hegemonic and powerful structures. The construction of colonial discourses, for example, has promoted and conveyed Eurocentric thought systems – supposedly universal – that we have all inherited and which continue to live on. In fact, it seems evident that nowadays these systems are obsolete. However, one can only notice that the binary opposition that distinguishes the “we”, as the standard and the ideal, versus the “others” always finds new followers and immerses us in even more dangerous systems. Therefore, the question remains: how to understand and experience our plurality, our multiple and intersectional forms of existence in structures with a fixed and frozen frame. How can the “Other” in “Me”, or the so-called “Abnormal” in the “Norma”‘, be expressed and valued ? For several decades, contemporary cultural theories have set up multipolar and non-hierarchical concepts; intercultural strategies seek to describe the complexity of intercultural exchange processes without ever simplifying them. In our interconnected space, the importance of these concepts is not only theoretical, but also socio-political. Frontières Fluides by Katrin Ströbel & Mohammed Laouli, as well as Max et d’autres oiseaux migratoires by Nicole Schatt,question migration movements and the current exodus. The movie La Grande Safae of Randa Maroufi reveals the mechanisms of power that require a precise definition of gender. Younes Baba-ali, and Giancarlo Norese & Cesare Pietroiuisti question language as a structuring tool. In her work Moiré Käthe Hager von Strobele manipulates textile surfaces to create multiple models of the body. In Al Amakine, une cartographie des vies invisible, Abdessamad El Montassir suggests a new construction of history and cartographies on the basis of alternative narratives of his native region in southern Morocco. 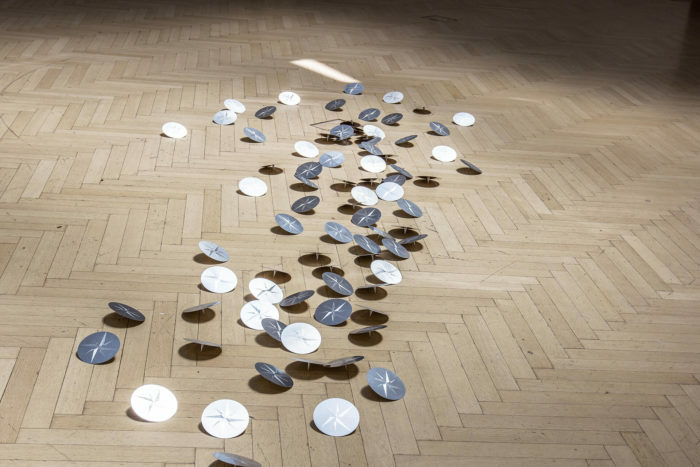 With their installation Roses des vents “, Zainab Andalibe & Nicolas Kozerawski transform the classic tool of the wind rose to question history and meaning. 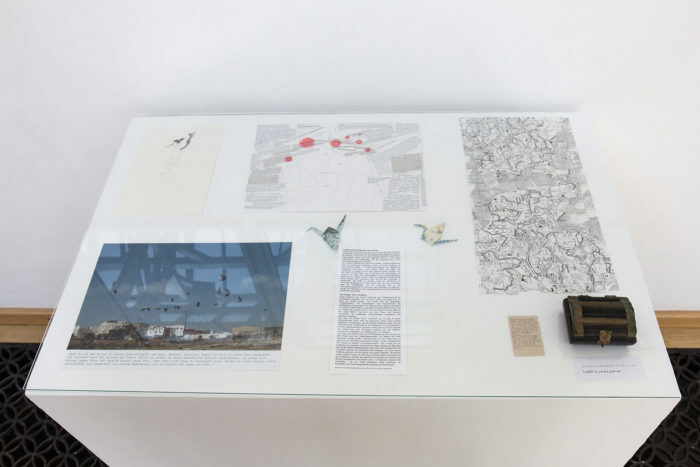 Moreover, the exhibition Interspaces displays the artworks of artist who all work with Le Cube – independent art room. 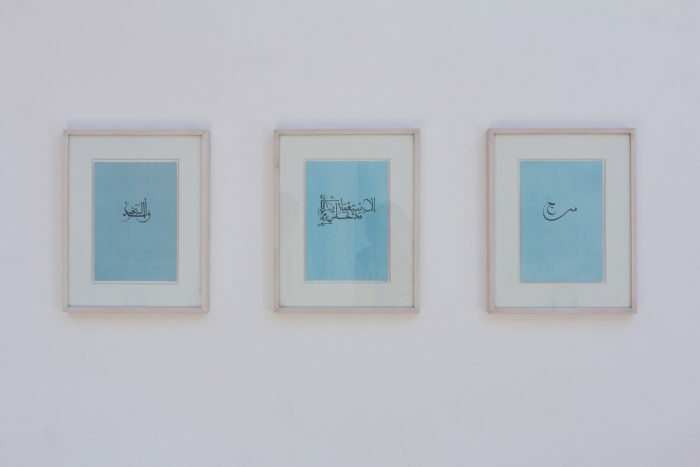 Founded in 2005 in Rabat by the Austrian art historian Elisabeth Piskernik, this art space holds today a major position in the contemporary artistic scene. Its annual program offers and highlights many artistic positions. Mainly, they consist of installations, photographs, performances, videos and sound pieces. Le Cube – independent art room is a platform of exhibition, research and experimentation. 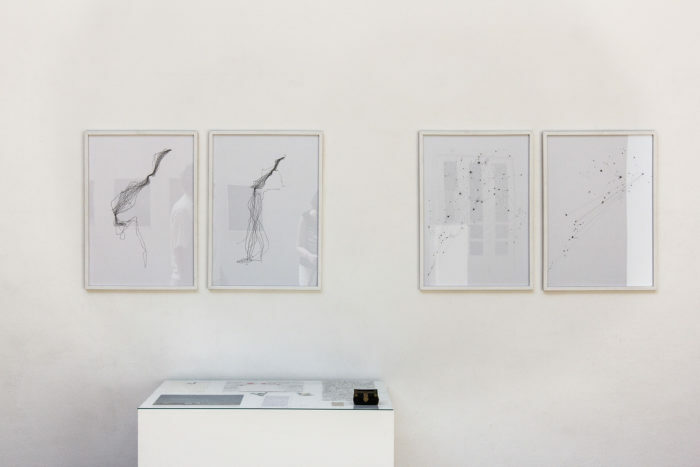 The bilateral project Interspaces is the result of a cooperation with Kunstverein Kärnten in Klagenfurt and Le Cube – independent art room. With the different artistic positions this exhibition aims to blur the supposedly established boundaries and to use the emerging intermediate spaces to bring out new points of view. “Is it always an advantage to replace an indistinct picture by a sharp one? Isn’t the indistinct one often exactly what we need?” asked Ludwig Wittgenstein. To this question the curators of the exhibition answer: “Probably yes”. 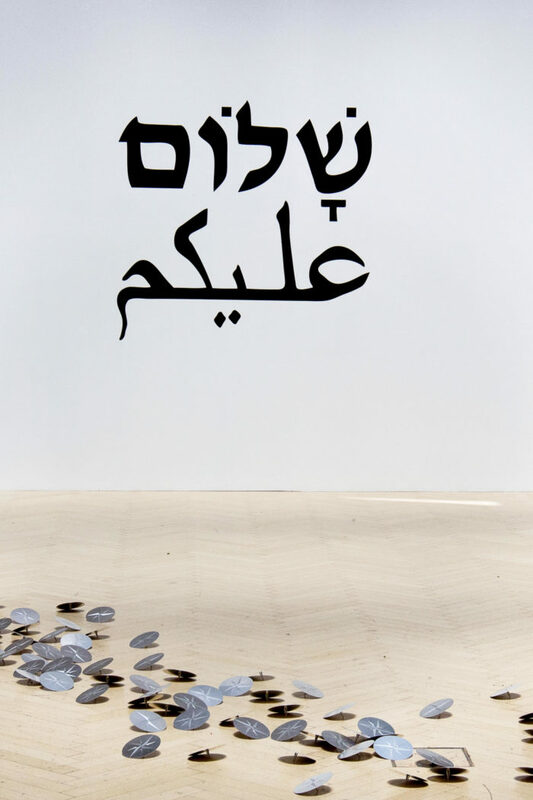 Younes Baba-Ali, "Shalom Aleïkoum", 2013; Zainab Andalibe & Nicolas Kozerawski, "Roses des vents", 2015. 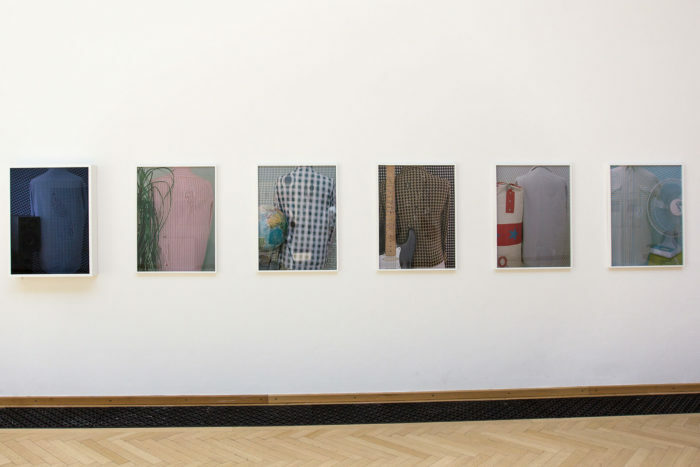 Vue de l'exposition "Interspaces" au Kunstverein Kärnten à Klagenfürt. 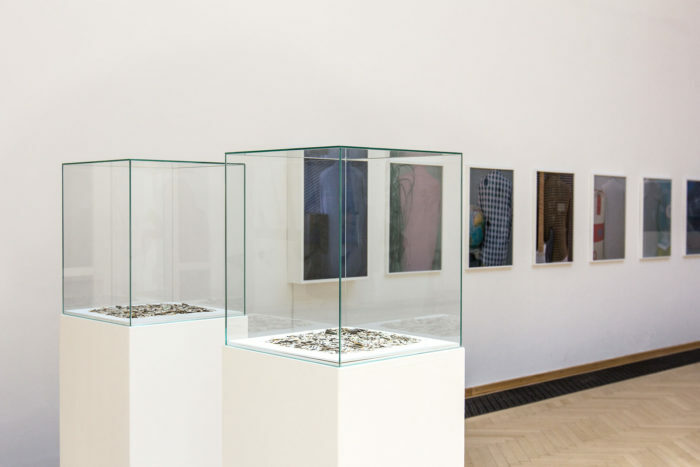 Zainab Andalibe & Nicolas Kozerawski, "Roses des vents", 2015. 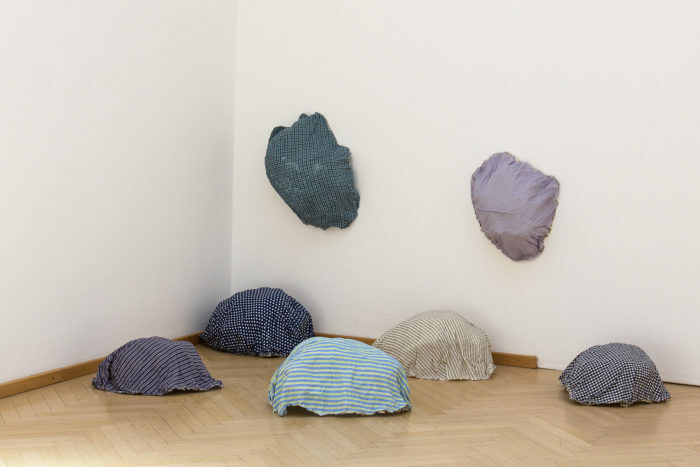 Käthe Hager von Strobele, installation, 2018. Leila Sadel, "Ouvrage", 2010 & Käthe Hager von Strobeles, "Moiré", 2015. Käthe Hager von Strobeles, "Moiré", 2015. Nicole Schatt, "Max und andere Zugvögel", 2013. 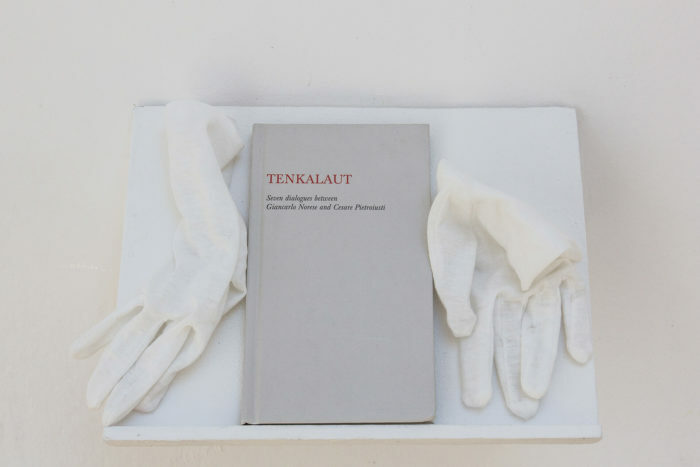 Giancarlo Norese & Cesare Pietroiusti, "Tenkalaut. Seven Dialogues between Giancarlo Norese and Cesare Pietroiusti", 2005. 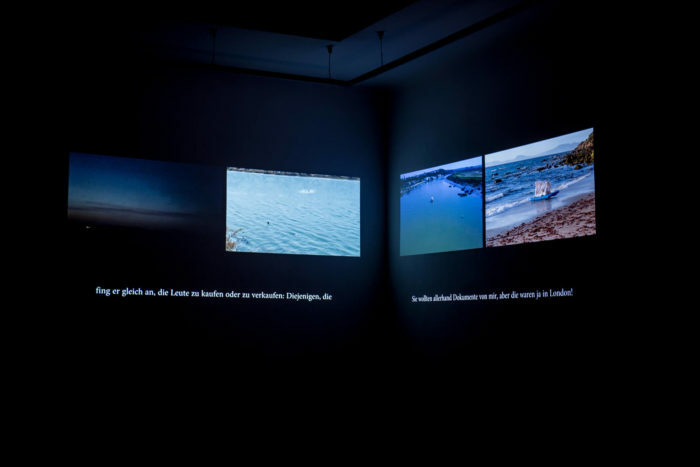 Mohammed Laouli & Katrin Ströbel, "frontières fluides – Fließende Grenzen", 2015.